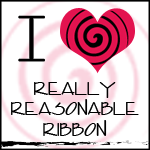 wheremmsgather: Rubbernecker Fall Blog Hop!! Welcome to our Fall/Halloween hop! Thanks so much for joining us. Rubbernecker Stamps has such a wide variety of images that we thought we would share some Fall and Halloween ones with you. There is a hop route for you to follow below. And, so you don't get lost, each Sister will have this list for you to help you on your journey! Make sure to leave some love at every stop in order to be eligible for the prize! Your choice of one of these AWESOME stamps sets! Here's my side-step card I created using the Halloween Two set. 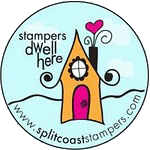 Click HERE for a great tutorial on Splitcoaststampers on how to make this kind of card. I stamped each image, colored them with Copic markers, and cut them out in order to place them where I wanted them in my scene. Here's a photo I took above the card so you can see inside it a little better. I drew and hand cut the grass blades on my green designer paper in front of the fence and the two layers with the witch. 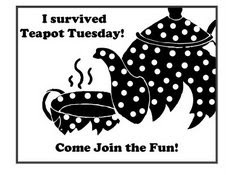 Ok, the rest of my Sisters from the Stampin' Sisterhood have a lot of creations to share with you, so grab a cuppa your favorite beverage, sit back, relax and get hoppin'! Be on the look out, too, for our hop next month! We look forward to seeing you then for more sharing and prizes!!! Thanks, again, for joining us today and enjoy! Charlene, this is over the top adorable! Love the design! Fabulous! Oh my word LOVE your stair step card, how creative, darling and so fun!!! Charlene...your little Halloween scene is absolutely adorable!!!! How cute is that fabulous side step design and all the sweet little goblins...love it, gf!!!! that card is sooo adorable. Love your card and your blog design! Oh how fun! Love the use of images!! I love that cat set too! So flippin' cute! I shared this on Facebook! What an adorably spooky card. So intricate and well done. Oh my! I love the scene you've created! Expertly done in every way! They look like they are having a ball trick-or-treating...and this card is certainly a treat to look at. LOVE IT! That side step card is just perfect for this little halloween scene....so cute. Love the side step card for a scene like this! Great stamps! This is really wonderful. I love the colors and the cute layout. 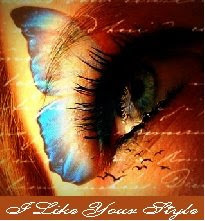 Seriously wonderful and so creative,Charlene!! That's awesome! I love how the witch and the mummy stand up! I love your fun side step card Charlene! the images are so cute - um - spooky!... looks like the neighborhood on Halloween night! What a great time to be hopping through the internet with these cute and colorful cards! I love them. Great set and great card. This is so cute.....that little witch is darling and looks mischevious! This two-step card is sooo cute! I love those little Halloween characters!! What a really cute Halloween card! You did a "boo"tiful job on it! This is the most beautiful Halloween card I have ever seen! Wow! Fabulous card. Love how the "step" allows the kids to be behind the fence. It's perfect. Wowza! You are a busy *business woman*! Good Job Charlene! Your card rocks...such a great way to showcase the stamps! Charlene, Charlene, Charlene! This sidestep card is precious! I really like cute and fun Halloween images so much better than spooky. I've never made a sidestep card, but I am totally lovin' yours! Might need to try this out! Terrific Halloween card! Those images are great... Love the mummy and witch! Wonderful card! This is one of my favorites. Charlene the details on this are amazing. What a gorgeous and fun Halloween card! I love the little Hallowe'en scene you set up with this cute little sidestep card! The fun little characters are so bright and well coloured. It must have been so much fun to create. super cute GF! I love anything Halloween! Charlene, this is just amazing and so adorable!! Love that little fence~! And what a great scene. 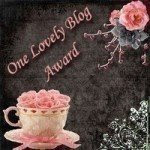 wow your card is amazing... awesome blog hop... thanks for sharing..